My personal online presence has been quiet lately. I have been busy working on custom paintings, delivering custom paintings, and struggling with ideas for my “little library” project that desperately needs attention. Since my last blog “Work and Play” I’m still mulling over all the same stuff… But this week I broke through my stuck-in-a-rut-restless feeling. It was fun sharing stories, talking about shows and sales, along with the trials and errors of oil painting (my fails and his successes I suppose). Once again, I feel the pull to play with the oils I purchased last summer. 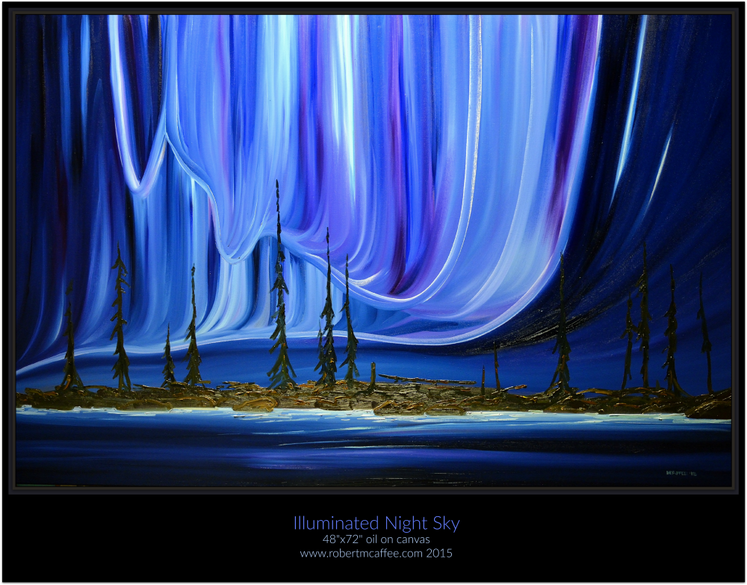 His work (also Canadian Landscapes) and personal motivation was highly inspiring. A reminder that I am doing okay, but still have a long way to grow as an artist; A reminder that we can succeed in this work if we are committed and open to growth. I’m trying to grow my online presence through Facebook… and I need your help! The idea is to get as many LIKES on my art page Jennifer Anne Burke as possible, before the Spring Equinox on March 20th. If you can help by liking and sharing my page, there is an added bonus: Post a picture on my page of your favourite Canadian Landscape, and I will put your name in a draw to win a free Mini Painting (8 x 8 inches) of your image. The value of the mini painting is currently $100 and I will ship it for free (within Canada only). “Sharing The Love: Spring Equinox” is the Facebook Event Page where you can get more details. You can participate until midnight on March 20th and I will announce the winner of the draw on March 21st. I look forward to seeing everyone’s photographs of our amazing Canadian Landscapes! Gratitude for participating in my artistic growth! I love that painting by Robert, thanks for sharing. Isn’t it great to chat with other artists? There’s always something new to learn!